Customizing a vehicle is a task that many people do to make something unique. If you have an RV that has a basic look, then you may be surprised to find out that it can be used as a house truck. 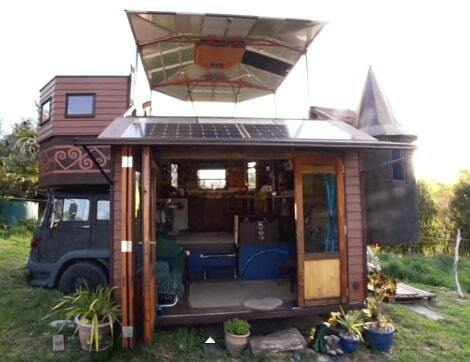 A house truck is something that can convert from a street legal vehicle into a tiny house when parked. You can do complete a basic transformation of an RV into a castle truck home with a little research. The best way to think of a castle truck home is a conversion process. This will include adding a variety of features that are hidden when the vehicle is in transportation mode. You can add a room that appears when one side of the truck is folded outward. The use of sliding panels is one of the many secrets that you’ll include when building a castle truck home. You need to develop specific plans for your particular vehicle to build a custom castle truck home. The plans you use can be developed by you or by working with someone who customizes trucks. If the use of an RV is not preferred, then another vehicle may be used. Search online to get an idea of the various ways to customize your RV to create a unique home. Customizing an RV to create a castle truck home will not be a simple task. You will need to find proper tools and equipment to complete the transformation. This includes tools to cut metals and to fabricate a variety of pieces for the conversion. You will be the envy of anyone who is staying in a basic camper or RV. The best thing about a customized RV is you can drive it legally on any road when it has been converted into transportation mode.